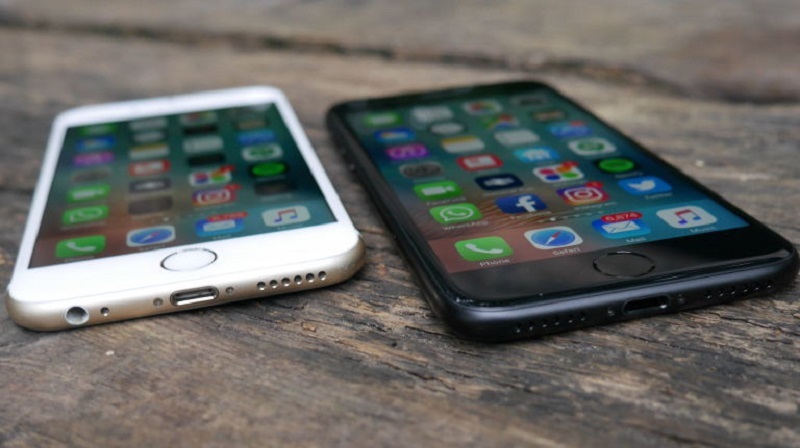 Magazinzoo.com Reviews,Technology and Gadget Ultimate Battle of iPhone 7 vs iPhone 6 | Which is better? Once again, in the middle of September, we see the parade of iPhones on the planet. Even now, at the very start of sales, we can confidently say that the “seven” will become a landmark device. It is laying a new standard in the design of mobile devices. 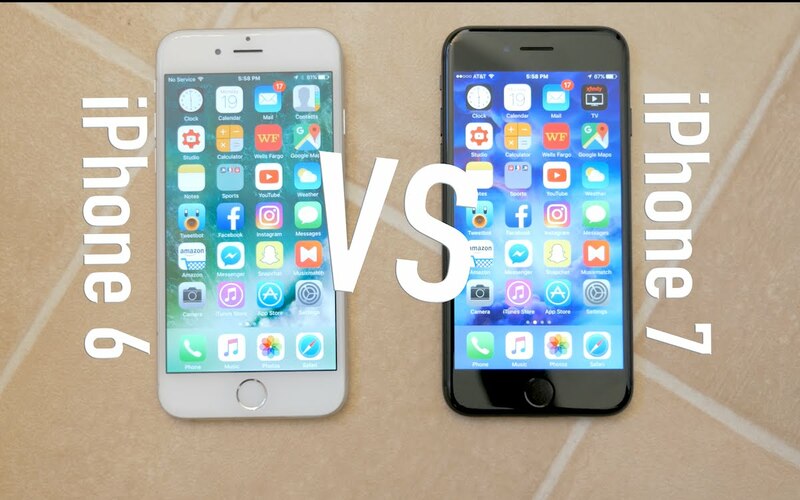 Let’s we are going start the ultimate battle of iPhone 7 vs iPhone 6. In the design of the new model, there is practically nothing to complain about – the bulging chamber was equipped with a nice sealing ring ensuring water tightness, the ill-fated antenna strips made less noticeable by moving them closer to the ends, the Home button was hidden under the glass. As a result, the gadget looks completely monolithic, and, in fact, it is. As predicted by experts – the iPhone has finally become airtight! The most important button is Home. Instead of mechanical, it became sensory. And to facilitate communication with the intangible switch, engineers implemented the former mini-jack connector, the improved TapticEngine engine. TapticEngine engine depending on the force of pressing, it generates vibrations of different intensity, based on which the user feels the responsibility of the system. On the assurance of the tried ones, you get used to it quickly, and in the future “communication” with the button is intuitive. This innovation made it possible to make the iPhone 7 airtight, as it merely became smaller with two holes (3.5 mm by the port and a recess under the button “Home”). But there is in this a negative point – in winter, being in gloves, you can not unlock the smartphone. As for the size of the new flagships, they remained the same as the predecessors. Is that slightly changed the total weight of the devices? 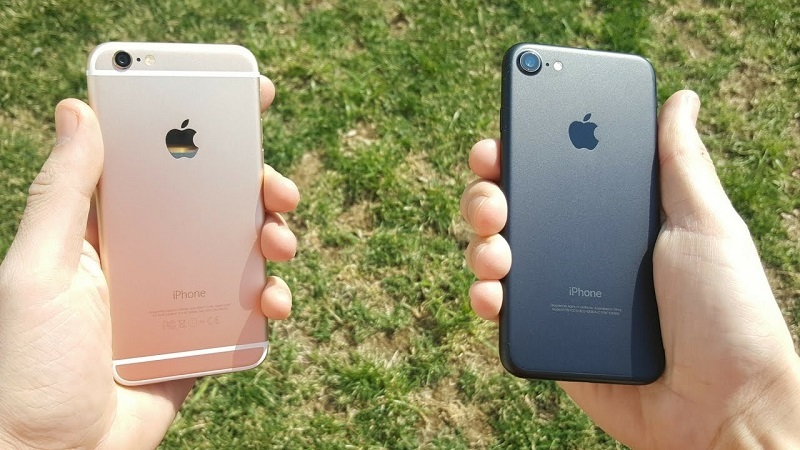 They became a few grams lighter than the 6 S, but still not as light as the “six” of the first generation. Comparison of weight in grams in iPhones. At first glance, the difference in the dimensions of smartphones is minimal, and, in theory, cases from both versions of sixes could be suitable for a new flagship. However, there is a small nuance – in the 4.7-inch modification, the manufacturer has moved the camera jack closer to the ends, and even the “eye” with the lens has become larger. Thus, it turns out that part of the camera will simply be covered with a cover. iPhone 7 in the case. And for the plus version, even more so, a non-standard dual module of two cameras forces you to purchase a new case. As already mentioned, the “seven” became waterproof, which both predecessors could not boast. Under all joints of the case is laid special adhesive tape, which makes the smartphone airtight. I wonder if it will be possible to restore it in the event of any service intervention? Or after all, after opening, the iPhone will let the moisture in? iPhone 7 is in the water. We draw your attention to the fact that the “seventh” iPhone is not designed for long swings with the owner. The protection of the gadget is designed for short-term exposure to the aquatic environment. In this case, everything will do without consequences. The maximum that a new iPhone can sustain is a half-hour stay in fresh (!) Water, and at a depth of not more than one meter. In addition to water, the seven will also be reliably protected from dust entering the housing – this is what the manufacturer claims to be level of tightness – IP 67. Read our another comparison of iPhone X vs Samsung Galaxy S8. Well, the creators have worked on the sound quality of the iPhone. Instead of a separate audio connector, one more external speaker was added, and the iPhone got a powerful stereo sound. The difference between the models is felt, not even on the highly demanding hearing. iPhone 7 sounds newBut the most important thing is that Apple left only one lightning port for the iPhone connection with other devices: headphones, a charger, a computer. Comparison of the bottom panel for iPhone 6 and iPhone 7Therefore, in the new configuration, will be presented headphones with connector lightning. Headphones with a Lightning connector. Also to relieve the load on a single port, the company simultaneously introduced and wireless headset – AirPods.Wireless Headset AirPodsAlways, the main drawback of wireless data flow, was the inevitable lag of the audio track from the image on the screen. Apple claims that with the help of revolutionary AirPods it managed to overcome this unpleasant feature. The second controversial issue is the limitation of the battery life of the wireless systems. When pairing, the charge is spent, both the smartphone itself and the headset used. But even here the company assures that there will be no problems – you are guaranteed up to 5 hours of battery life, and 3 hours more during the day after a 15-minute charge from the cover. Both of these factors are the reason for the meager spread of wireless systems – there are too many limiting moments. But, as we see, Apple again breaks stereotypes. Another global update touched on the amount of internal memory. 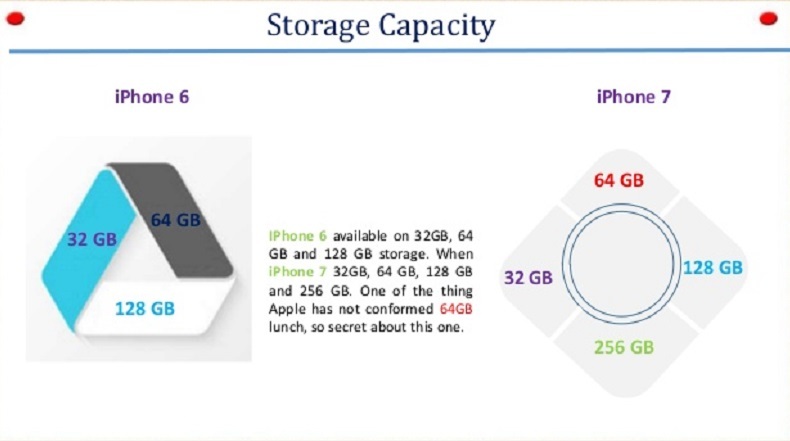 For a long time, the operating line “16/64/128” was replaced by 32/128/256 gigabytes. Also, from now on, the upcoming versions of the predecessor will also receive a “new memory.” The amount of memory on iPhones 6c, 6c +, 7 and 7+It is noteworthy that the manufacturer doubled the capacity, without increasing the total cost of smartphones, either in that or another case. While it is not known how such gains will affect the performance of devices, as the predecessors with 128 GB of memory on board previously had problems with stability of operation. We touched on the improvement of the camera modules. They even externally became more massive and more kind, that-whether. See for yourself, that’s how they look in comparison to the 6 S. The Comparison of cameras iPhone 6c and iPhone 7SELFI-camera has now acquired a resolution of 7 Mp (versus 5 Mp in 6S or ridiculous 1.2 Mp in the “six”). The resolution of the main camera remains the same as that of the 6S (i.e. 12 Mp), but the hardware has undergone significant improvements. Cameras have become even more effective in suppressing any interference; it is better to recognize faces and figures, the color range has significantly expanded. Plus version, in general, received a double wide-angle lens, on which at least you shoot movies. Also at 7 Plus the possibility of 10-fold zoom is added. Cameras iPhone 7 plus and 7Finally, the “younger” version of iPhones received advanced optical stabilization of the image. Pictures and videos are surprisingly clear, even when shooting in motion. 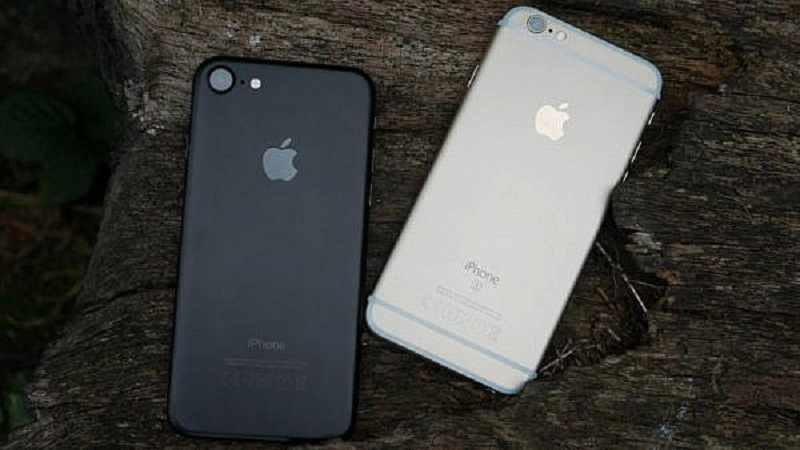 Now the iPhone is equipped with a bright 4-LED flash, instead of the 2-diode in the predecessors, which means that the quality of the night shooting will also be at an altitude.Gray iPhone 7In the appendage to all was added a lot of hardware and software tools for image processing. Including it became possible to edit the “picture” right during the shooting. In general, the seven can only be taken for a classroom camera. “Seven” received a quad-core chip, which, in conjunction with an expanded to 3 GB RAM, easily cope with any load. Thanks to the new Fusion-processor smartphone shows great results in bench tests. So, for the example of the conducted bench, it is possible to estimate a noticeable increase in performance in comparison with the predecessor-6 S (the “seven” on the left). 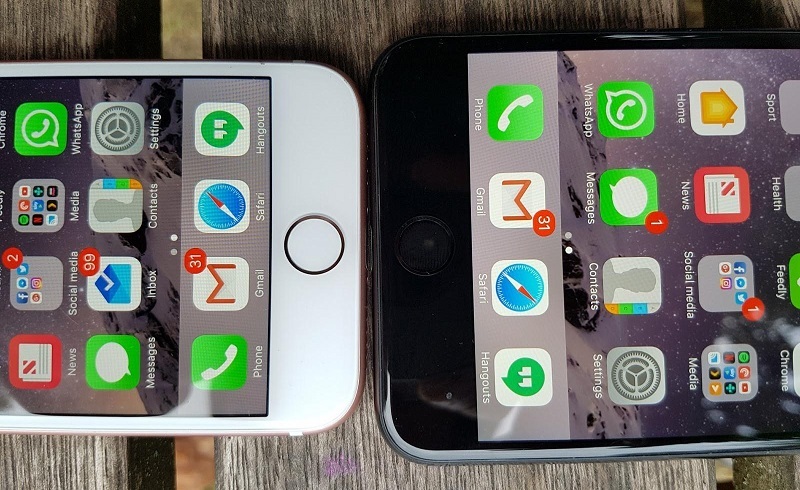 iPhones 7 and iPhones 6cThe separation from the first “six” is even more impressive – almost twice (its results were 1624 and 2922, respectively). It is possible that there will be critics who are fed up with constant fireworks of innovations from different manufacturers, and hungry for more and more changes. However, the lion’s share of the work of engineers and designers remains hidden from the eyes. And apparently seemingly identical devices can be radically different, that’s the way it is in the case of sevens. The changes are obviously not even evident, but they certainly are, and very significant! 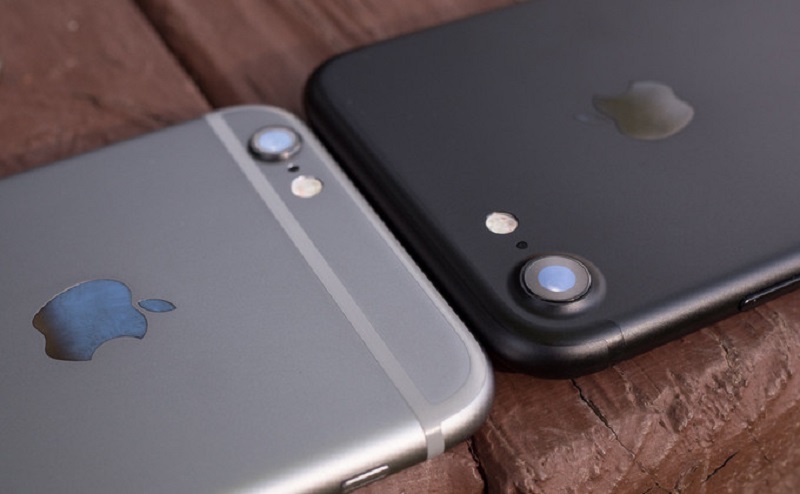 Does it make sense to change your 6 S (or 6-Ku) on the iPhone 7-you decide? So if you have expensive accessories with a standard mini-jack port, and you are not going to spend on the new ones, we recommend that you delay with the update of the smartphone to the new version. Although compared to the oldest “six” you will get a much more advanced functionality. If you are an active life, full of travel, and in passing, using the camera timekeeping of all the places you visited, it makes sense to spend on the seven. It will allow you to get a clear, detailed picture in a professional format under any extreme conditions – even if shooting during surfing. At the same time, the device, thanks to its tightness, will withstand the complete immersion in water in iPhone 7 vs iPhone 6. You may also like 20 Essential iOS 10 and iPhone 7 hidden features. You don’t know. Next Next post: How much is the Nicki Minaj Net Worth?